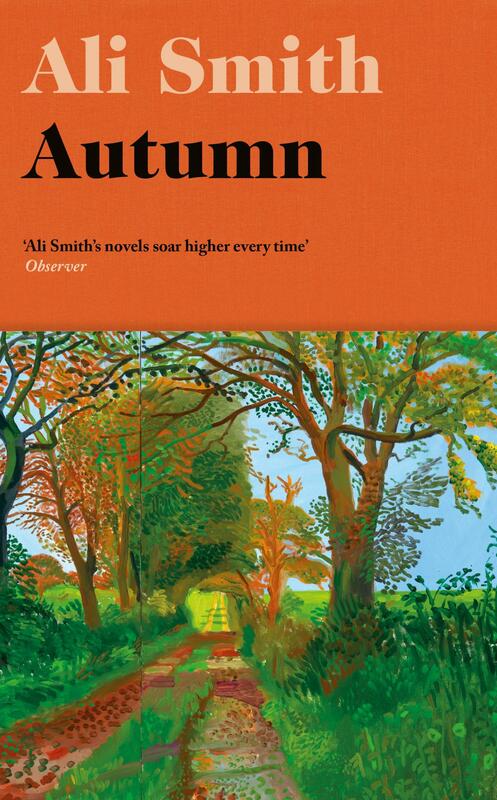 Autumn by Ali Smith – Audible Book Review by Pat V.
Autumn is the first of four seasonally-titled novels Smith. However, this is not simply a political tale. Smith focuses on a much broader canvas and the heart of her novel is an effort to explore “what time is, how we experience it”. Starting with a dreamlike sequence where a naked man is washed onto the shore and slowly starts to metamorphose with his surroundings, we immediately realise that this is not a traditional narrative. We learn, in fact, that these are the hallucinations of a 101-year-old man, Daniel Gluck, lying on his bed in a nursing home, thinking of his past life, of the things he saw and the things he imagined. Daniel, a nurse explains, is in “the increased sleep period” that “happens when people are close to death”. The story shifts abruptly to a Post Office in a nearby town where Elisabeth Demand, a 32-year old university lecturer, is facing an almost Kafkaesque ordeal trying to renew her passport. Finally rejected because her head is the wrong size in her photo (she will be told on a later visit that her eyes are in the wrong place!) she goes to the Care Centre to visit Gluck, who we discover had been her next-door neighbour (and sometimes carer) when she was a child. The story of their close friendship forms the core of the book, told in a kaleidoscope of memories, never chronological and sometimes not immediately clear. The 8-year-old Elisabeth was fascinated by her exotic neighbour, all the more so because her mother did everything possible to discourage their friendship. His unconventional stories and descriptions of strange works of art (which she later discovers were created by real-life Pop artist, Pauline Boty) fire her imagination and continue to inspire her as an adult. But, as their thoughts flit from memories of times spent together, to the vast tapestry of separate experiences that affected their lives, we are presented with a jigsaw of reminiscences which have touched their worlds, sometimes tangentially, sometimes more directly. Smith’s novel is not an easy read. The constantly shifting narrative takes us from WW2 to Christine Keeler and the Profumo affair and even to the recent murder of Labour MP, Jo Cox. There are times when the strands of the stories told seem to drift off and leave us at a dead-end. However, it is worth persevering. This is an engaging, moving and beautifully written book, reflecting the changing, decaying season of its title, both actually and metaphorically. There is a profound sadness for the Britain the author sees around her in the autumn of 2016 but the story is infused with an anarchic humour and the hope of what spring might bring. Though winter, we may assume, must come first. In this version, the reader, Melody Groves, works well as the young Elisabeth but is less convincing when recounting Daniel’s memories. Autumn is the first of four seasonally-titled novels Smith plans to write. This audiobook is available from audible.co.uk and lasts 5h 27mins.